It has been said that talking about music is like dancing about architecture: the self-referential circle of language spins us around, marking the steps inward from one empty definition to the next. Only the visceral impact of a feeling beyond these words can fulfill the search for meaning within the motions of this dance. To honour this notion, Atman Construct selected these works without regard for the conventional categories of genre—ambient, IDM, psychedelic, glitch and so on—but simply because in combination they express a collective, emotive experience. 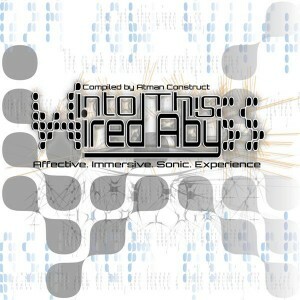 Into This Wired Abyss provides gentle soundscapes, fluid craftsmanship, and organic, narrative performances. A big thank you to all involved, who have freely contributed their excellent work, for making this diverse and international project possible. Mastering and artwork by Atman Construct. MP3 Download | FLAC Download | WAV Download · Download count: 11,125. WOW incredible mix of synthetic and organic love it! Хороший альбомчик. Мягкий и успокаивающий. Live gifts its miracles, it might seem to take them away sometimes. But it never does. It gives us each an equal share of the bliss which it is capable of producing. It serves no good to forget this. In every moment of my life, I wish I could remember this. If I could keep my sight pure, then maybe I could detract more from the pain I cause in my misery. beautiful compilation, hinkstep’s track is great! Get ready for volume II folks. Its going to be even better! This is kind of weird to say, but every time I’m sad or something traumatic or too intense happens to me, I listen to that Auma track, and everything is right again.